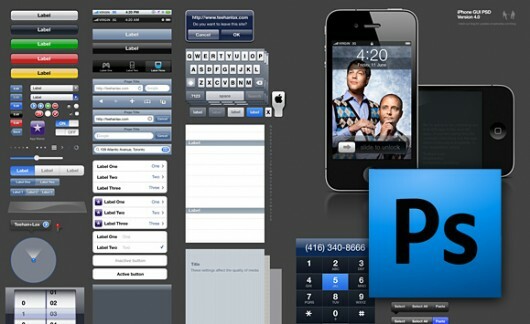 iPhone GUI PSD V4 | Shelby White - The blog of artist, visual designer and entrepreneur Shelby White. Updated: This download is for the Retina Display Version. This version of the template has been completely redesigned from the ground up by Teehan + Lax. The template is based on iOS4 and includes all the elements you need to design proof-of-concepts or production ready assets. 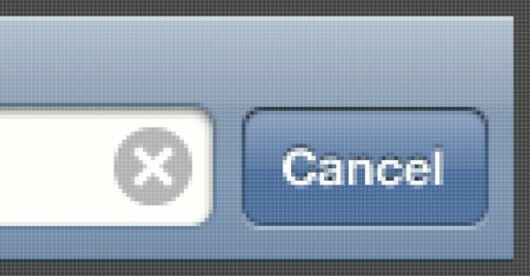 Previous versions of this file had issues like blurry edged buttons and incorrect “bevels”, but they have been addressed as best they can using Photoshop’s shape layers and layer styles. As a note from the TL, if you’re modifying any of the vector elements be sure the shapes are sitting on full pixels or your assets will begin to look blurry. Also the file is still formatted for 480×320 resolution so you may have to wait if you’re designing for iPhone 4’s Retina Display feature.